Originally this was a china cabinet. I took off the door and opened it up thinking the piece would be good in a child's room or kitchen. Everyone, and I mean everyone, asked if the shelves could be removed. A lot of interest but no buyers. We had a beautiful walnut table top in the shop that we repurposed. Isn't she pretty? 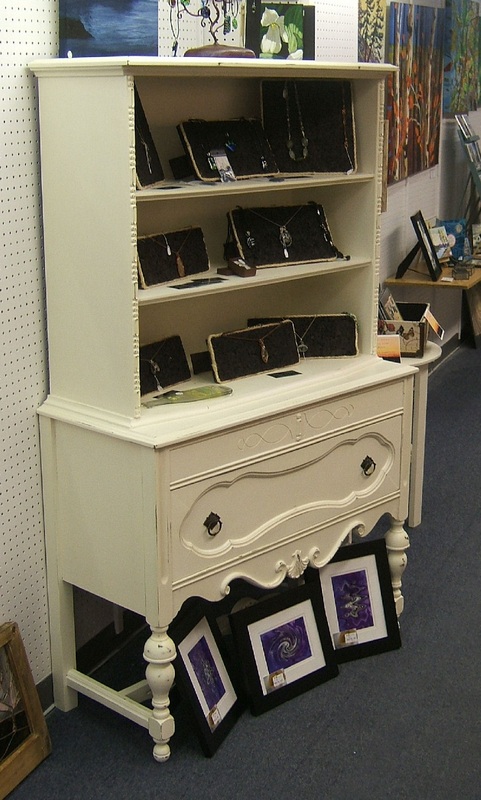 The Cabinet is 41 inches tall, 17 1/2 inches deep and 33 inches tall. The single drawer is 9 inches deep for lots of storage.